This new condo project is a pre-construction condominium development in Toronto’s rapidly-transforming East Bayfront neighbourhood. 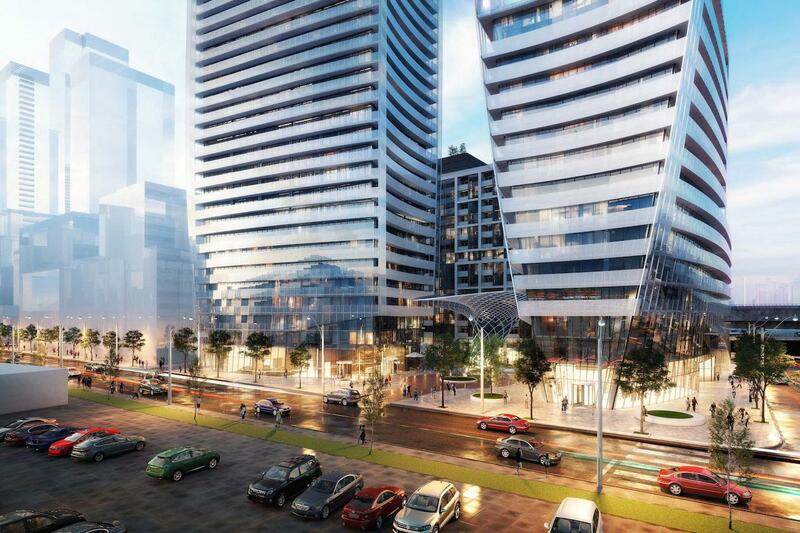 It will include two striking condominium towers, along with townhomes and a collection of low and mid-rise buildings. Developed by the Canadian arm of the globally-recognized Greenland Group, Lakeside Residences is slated for completion in 2020. These East Bayfront condominiums will occupy 3.8 acres just west of Lower Sherbourne Street. The project made major headlines when it was announced that Greenland Group – a prolific development firm with roots in Shanghai and projects all over the world – had purchased the underutilized land from two of Toronto’s top developers. 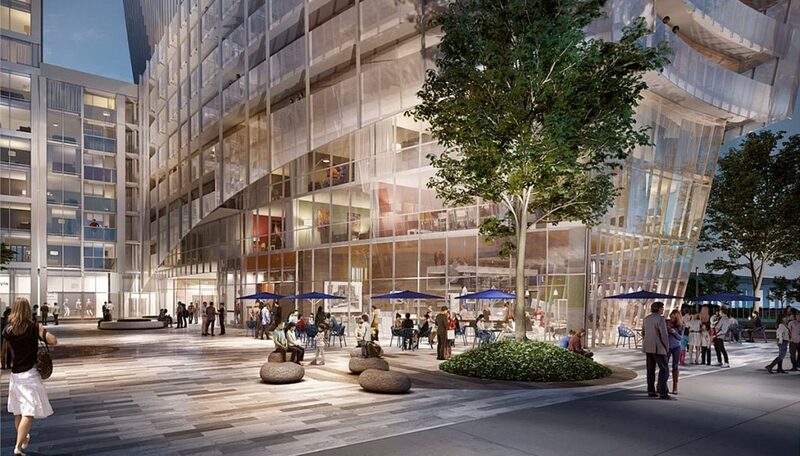 Featuring striking architecture and one of the city’s most transformative waterfront pockets, it’s also immediately next door to the site of an innovative new “smart city” that has just been proposed by Google’s Sidewalk Labs. 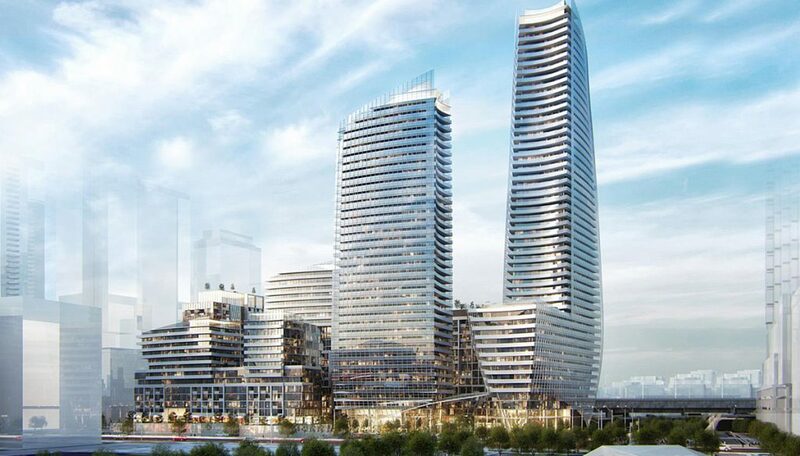 Most recently, it’s been revealed that Hariri Pontarini will be designing the project, a visionary, Toronto-based architectural firm, responsible for some of the most high-end condominiums, houses and cultural institutions across the globe. 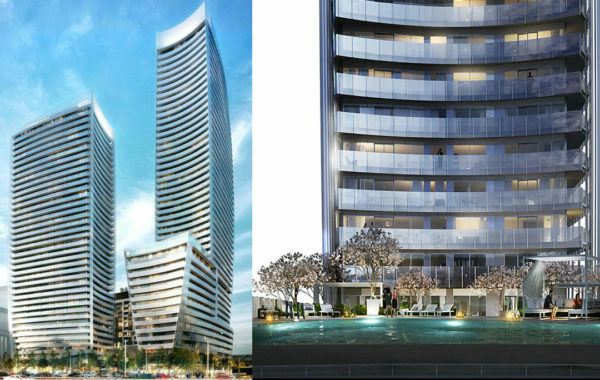 In total, This new building will house 700 units, including two main condominium towers, standing 50 and 40 storeys. These towers will occupy the eastern portion of the site and are designed to compliment each other as one sculptural element. As David Pontarini explained, these towers draw inspiration from two sails on a sailboat with a design that appears to catch the wind and features gently curved exteriors. The western portion of the site will involve a mix of townhomes and mid-rise buildings, with possible retail or commercial space. 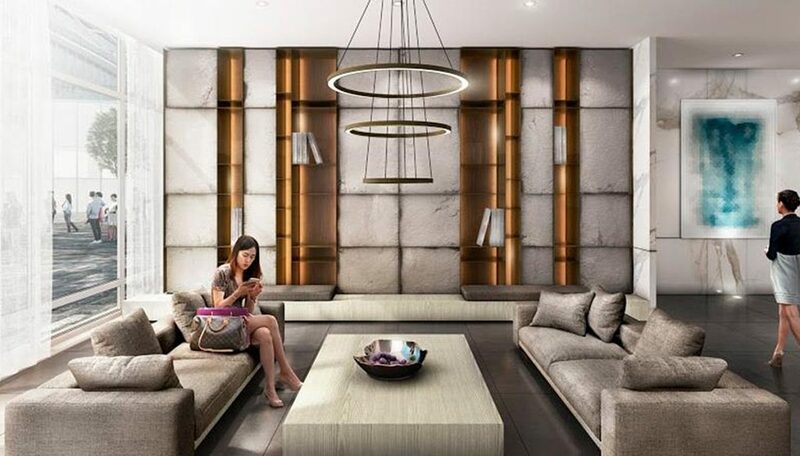 Suite interiors will be designed by one of Toronto’s best interior decor firms, Cecconi-Simone. 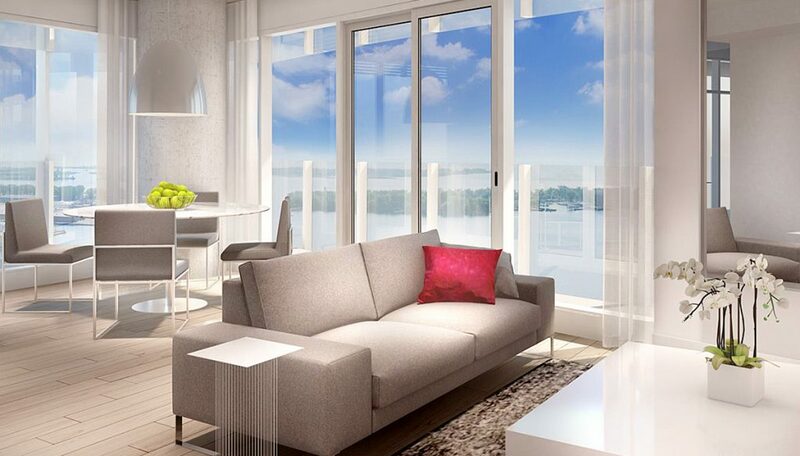 Featuring floor-to-ceiling windows, designer kitchens, expansive bathrooms and dazzling views of the lake, these units will be as functional as they are gorgeous. 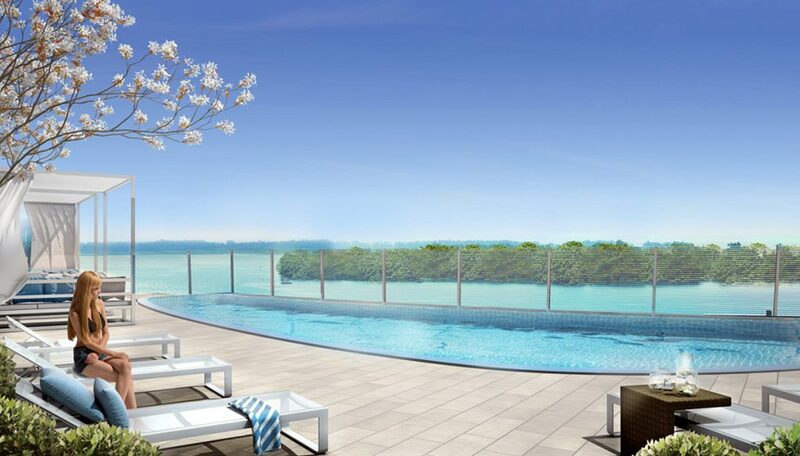 Amenities include an outdoor pool and sun deck that overlook the harbour and feature private cabanas. A fully-equipped gym, a party room with kitchen and dining facilities, and a children’s playroom are just some of the amenities designed to make this a complete community. The entire site will be designed to compliment the burgeoning pedestrian environment of the East Bayfront, with an arching pedestrian walkway that will connect 215 Lake Shore Boulevard East to a new arts and cultural development to the west, and to Sherbourne Commons to the east. Condos in the East Bayfront neighbourhood present a great investment opportunity. 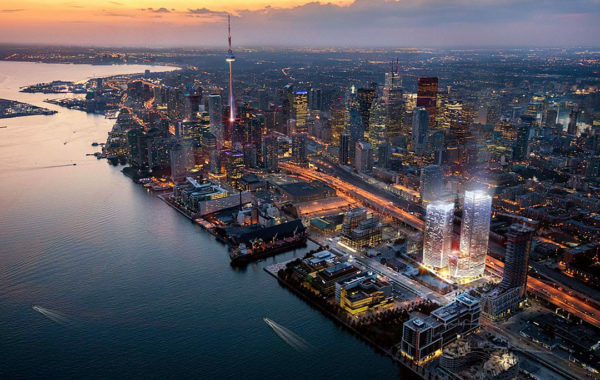 The pocket is part of what we call the “Lower Yonge Precinct Plan,” an ongoing planning project spearheaded by Waterfront Toronto and the city to address the substantial growth expected for the area. A picturesque location right on the shore of Lake Ontario, it’s an area that is ideally located, but has been underutilized until recently. One of the most recent transformations the neighbourhood has seen is the Queen’s Quay revitalization. This project saw the introduction of a tree-lined, multi-use promenade created along the waterfront, now popular with walkers, joggers and cyclists. In addition, a new streetcar service was added, which now connects Union Station to the East Bayfront area. There are several developments along this corridor either in the construction or pre-construction phase, including a large arts-and-culture-inspired project that will see new campuses for both OCAD and George Brown, as well as gallery space and a retail and restaurant galleria. Just to the west, another development will add significant office space, creating room for approximately 2,000 jobs. The condominium site is also immediately next to the new “Quayside” community, proposed by Google’s Sidewalk Labs. This exciting project will see 12-acres of land turned into a technology and urbanism-inspired hub that includes residential, office space, new streets and a new headquarters for Google. It’s primed to make Toronto a global technology destination. The Financial District, where it’s estimated almost 200,000 people work is only minutes away by streetcar, as is the historic St. Lawrence Market and the velvety shores of Cherry Beach, a popular entertainment and relaxation spot in the summer. The condo site is also a short walk from St. Andrew Station, connecting you with the subway’s line 1. From there it’s a single stop to Union Station, which connects to the subway, VIA Rail and the GO train. This neighbourhood has greatly increased in density over the past few years, both in terms of residents and jobs, and it’s expected that this trend will continue. This makes it a great spot not just for those who love a high-energy downtown lifestyle, but those looking for investment properties. Youthful and dynamic, this downtown pocket commands some of the highest rental rates in the city and is a short walk from The Financial District, where it’s estimated almost 200,000 people work. The Greenland Group is a Shanghai-based development firm with global reach. Since 1992, they’ve experienced a steady growth in market expansion and now have properties all over the world, including London, Paris, Melbourne, New York and Toronto. Considered one of the largest international developers, they specialize in large-scale projects that often include condominiums, hotel and commercial space in dense urban centres. 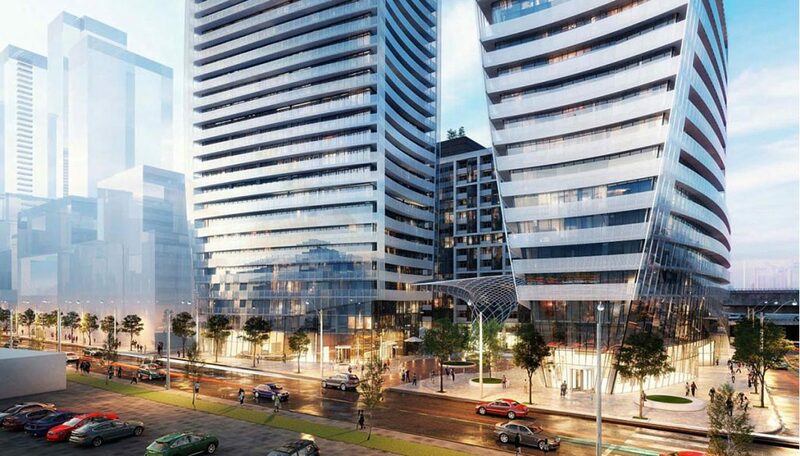 This is their second development in downtown Toronto. 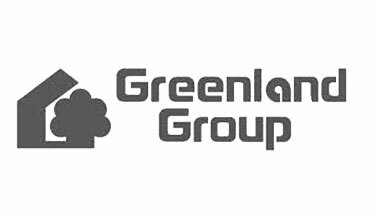 Read more about Greenland Group.